Splendid stuff! This chap does seem to be extremely salty; more so than the run-of-the-mill carebear. Well done, Lawrence for keeping it cool. Agent Lawrence did everything he could to keep the miner calm, however after 10 years of mining, they are usually beyond help. 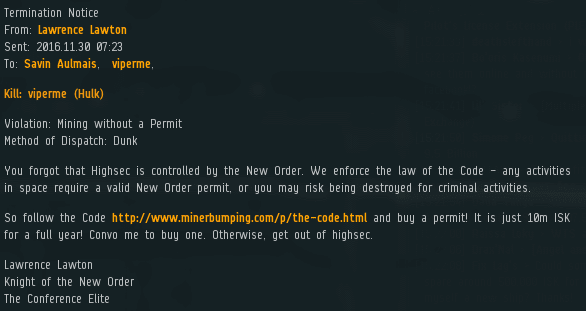 Given the New Order has another 996 years left to go, this miner can certainly expect to be on the receiving end of ongoing disciplinary action for the remainder of his EVE lifetime. 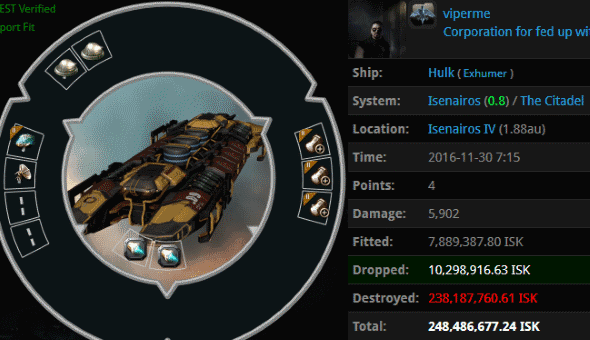 While the miner himself is likely beyond hope, we see from his case what happens when capsuleers are not exposed to PvP early on. It should serve as motivation to keep up our work. 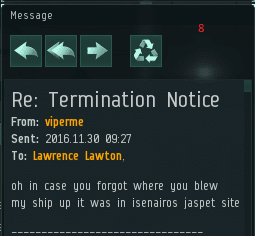 viperme probably took a long break from EVE and just came back. The landscape of highsec has certainly changed since his time. oh by the way i have not played for over 7 yrs because i have a life. 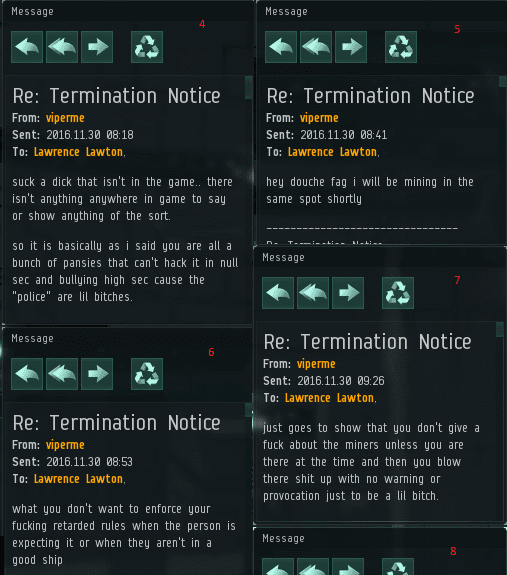 Fuk these carebears, EVE is PVP you retarded PHags. 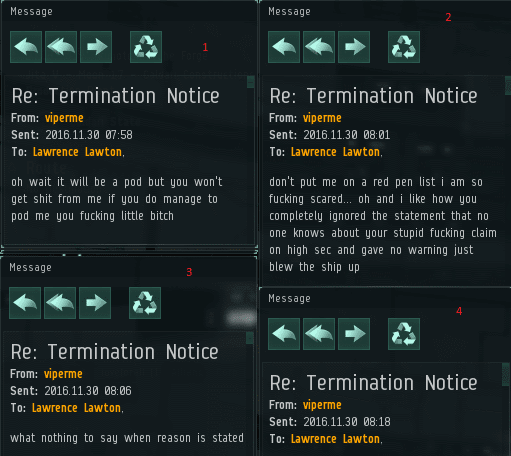 That salt was the lulzy-est! It is only a guess on my part, but I think the real reason he went quiet is he rented a puppy to kick for the day. CODE loves kicking puppies. They do it everyday and wait for tears. Better hope 4Chan never releases your juvie records. You'll need to go into witness protection if that ever happened. just so you know i had like a seven yr break so i haven't been playing for ten yrs. i actually have a life.